Winter/Spring 2019 Circle Dates: February 8, March 8, April 12, May 10, June 14. After many years at Main Line Pilates & Yoga in Paoli, our circle has found a new home. We are now located at Purenergy yoga studio, just 3/4 of a mile west of the old building, and still in Paoli. And, it's even easier to find! Purenergy is in the Depot Shoppes, on Plank Avenue, right behind the Starbucks on Lancaster Ave. If you're coming from the west, you'll turn left between the TD Bank and Starbucks. If you're coming from the east, you'll turn right immediately after the Starbucks. 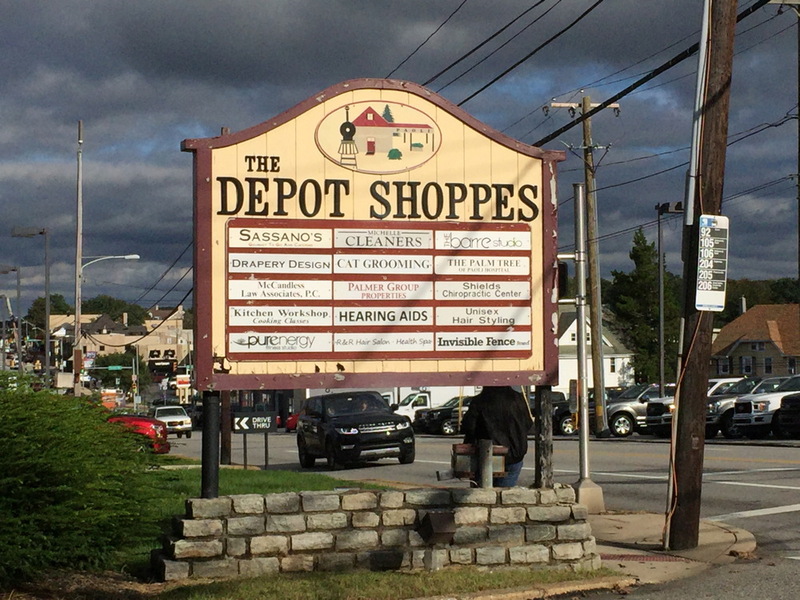 From either direction, you can look for the Depot Shoppes sign, which is the same on both faces (see the photo below). You might also spot the actual street sign for Plank Avenue, but the Starbucks and the Depot Shoppes signs are larger and clearer landmarks. As soon as you turn, you will see Purenergy directly in front of you. Park anywhere in the parking lot, and look for us in Purenergy's Barre Studio, which is to the left of the main Purenergy entrance. See the images below, and the embedded Google map, for helpful instructions and directions! NOTE: There should be plenty of parking spaces at the times we'll be using the space, but in case the lot is full, there's parking on the part of Plank Avenue that runs parallel to Route 30 (it's the left turn just before the shops). The circle is open to all adults, whether you have experience journeying or are a beginner! What time, and where does it happen? We meet at Purenergy Yoga's Barre Studio in Paoli. A short introductory lesson on basic journeying techniques starts at 7:15pm. If you're coming for the lesson, please arrive promptly. Drumming for the main event – the group journey – begins at 7:45pm. Shamanic journeying involves going into a trance state in order to allow your spirit body to travel into an alternate level of reality. There, you can find healing and ask for advice from powerful spirit beings willing to ally themselves with you. The advantage of working within a group is the energetic support provided by a roomful of people working toward a similar end, and also the input and insight you can gain from sharing your journey with others (sharing the results of your journey with the group is not required). Bring your drum, your bandana or eye mask, your spirit guides, and your questions! Also remember to bring a mat or blanket, or something else to lie down on, a pillow if you think you'll need one, and a journal or notebook so you can record your journey. When you come into the Barre Studio, please remove your shoes and put them in one of the cubbyholes under the front window, which is to your right when you enter. Is there a cost or fee for the circle? The circle is free, but your donations  when you can afford to do so  help us with the monthly rental fee for the studio space. If you don't have money with you at the circle, you can donate via PayPal. Use the donation button below, or use PayPal to send money directly to shop@fjordstone.com. 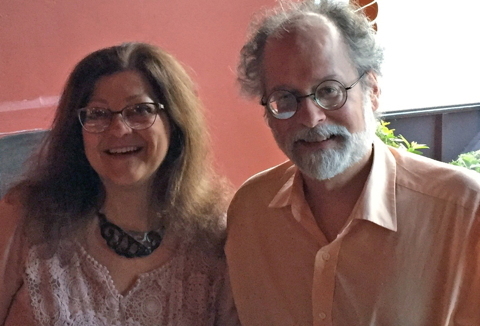 Amy Guskin and Paul Nordquist have been teaching shamanic journeying and leading shamanic journeying circles in the Chester County, Philadelphia (Pennsylvania) suburbs since 1997. They have also released several albums of shamanic journeying music. Amy and Paul have studied shamanism here and abroad for many years, with teachers from various cultural backgrounds, and have practiced their shamanic arts in settings as diverse as city streets, chamber tombs in Ireland, and in the center of the circle at Stonehenge under a summer full moon. 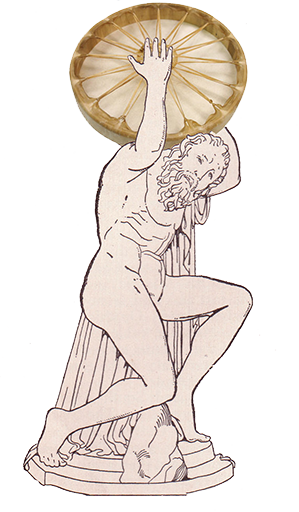 Donations go directly to the costs of holding the monthly circle. Whatever you can afford to give, we are grateful for your generosity!